"The chanting is a spiritual call for the Lord and His internal energy, Hara, for giving protection to the conditioned soul. The chanting is exactly like the genuine cry of a child for its mother. 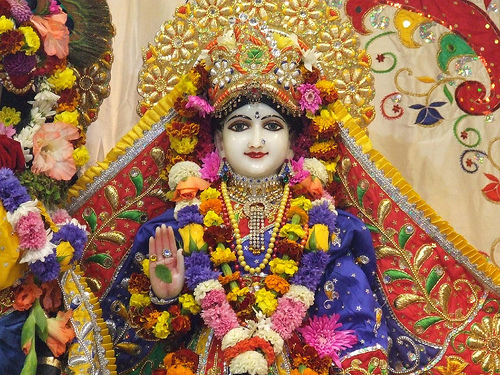 Mother Hara helps the devotee achieve the grace of the supreme father Hari, or Krishna, and the Lord reveals Himself to the devotee who chants this mantra sincerely." 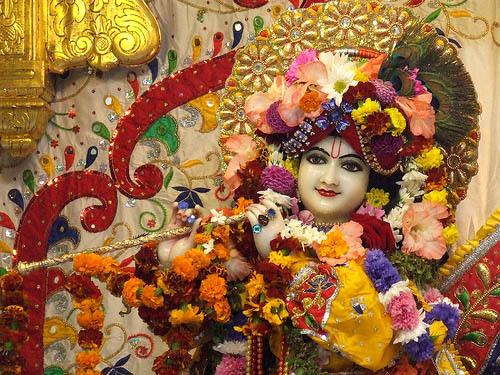 *Special thanks to Krish Mistry Prabhu for his beautiful Deity photos from the U.K.